In 1989 a tune came across the air waves while I was in the tractor crisscrossing a piece of summer fallow. It near as tore the heart out of my chest. Being an amateur singer with big dreams and no idea how I could make them come true I suddenly got an earful of just how hard it could be to survive in Nashville. The emotions where all there, raw and painful, and I realized that there was more to music than just getting up before a microphone. Tom Schuyler wrote the original lyrics, which were actually better than the ones that would be released when the song got published. Lacy J. Dalton may have cut a bit out of the lyrics, but the interpretation she would broadcast left little unsaid. The song was entitled “Sixteenth Avenue” and it hit its mark with me. It became one I simply had to learn, and to this day I can do it from memory without a single mistake. Songs like this always stick with me through thick'n thin. Likely, you are familiar with this piece, but even so it never hurts to hear it once again. 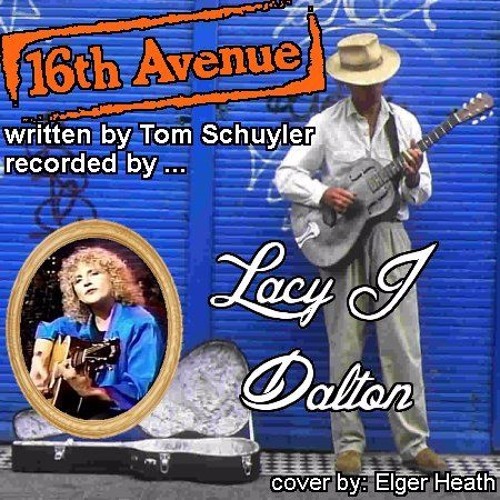 For those who aren't familiar with “Sixteenth Avenue”, I recommend you should check it out on YouTube. If you look up Lacy J. Dalton its likely it'll come up. In the mean time why not take a listen to this simple interpretation of a great song.